In a new interview by VentureBeat, Ubisoft revealed how StarLink: Battle for Atlas, a game featuring modular spaceships, came about. When Activision was exiting the toys-to-life market in 2017, a small team at Ubisoft Toronto were experimenting with fusing toys with video games. This project caught the eye of Nintendo, which led to the company allowing Ubisoft to use Star Fox in StarLink: Battle for Atlas. 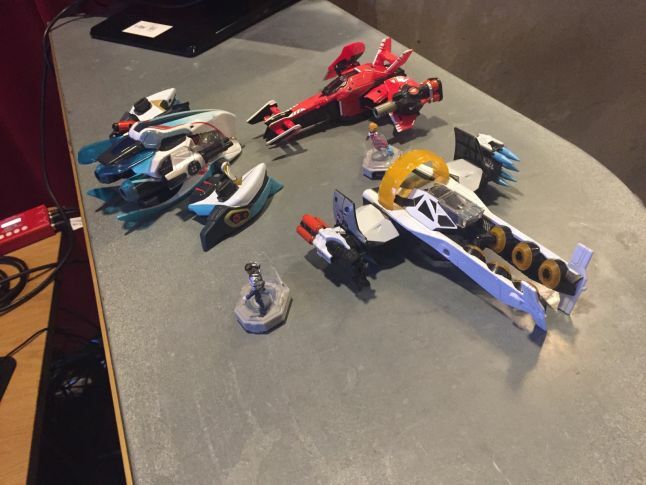 One of the early prototypes for StarLink: Battle for Atlas was a modular spaceship, pieced together by “a Wiimote, some consumer electronics, some copper wiring, some building blocks”. Using the prototype as a base, everything else was built from there. StarLink: Battle for Atlas launches this October for Nintendo Switch.